Including a bottle of Jarritos soda has to be one of the best items I've ever seen on a themed post. Love. it. Pink bag is on my wish list! Love that you included a Jarrito! 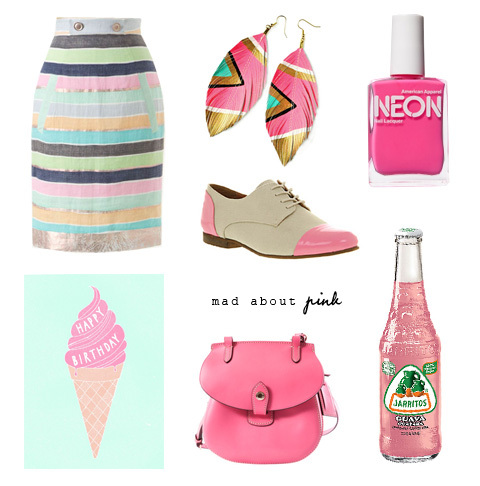 I'm a Pink Lover, and this moodboard is adorable! I love everything in it!!! those earrings are unreal! love 'em.